little red wagon: Challenge #443 ~ Riding Along! Hi there. Heather here and I am your hostess for this week's challenge. I have chosen the title "Riding Along" and I want to see some form of transportation on your make. So that means cars, bikes, trains, planes and yes, even horses ~ anything that you use to get from point A to point B. 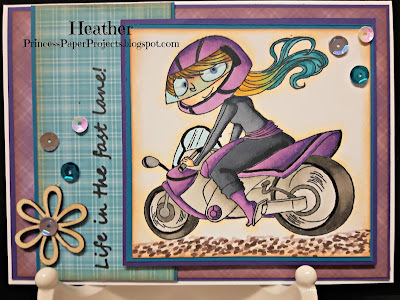 Check out the amazing inspiration from the other girlfriends in Mr. Linky and then link up a transportation project of your own. I am looking forward to seeing what you all do. You have until next Tuesday. 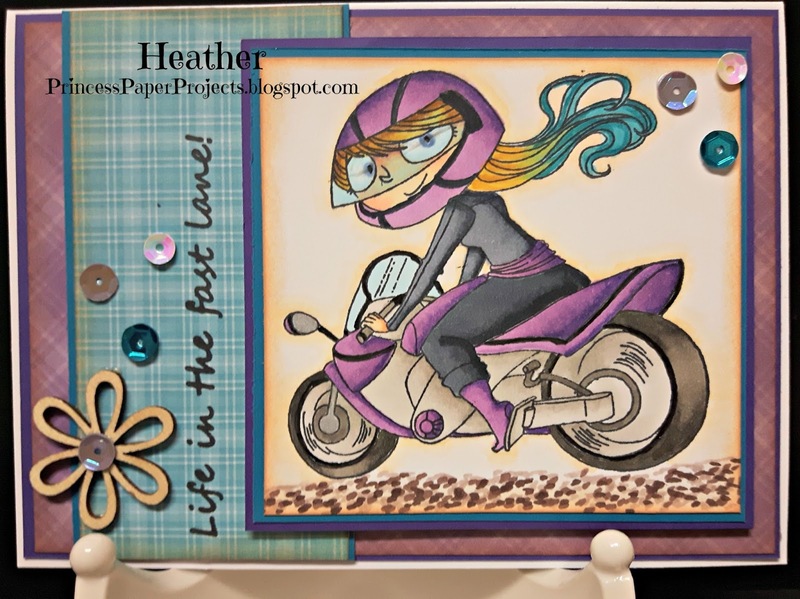 Great card - I love her hair!